Build your business on the Navajo Nation. What does it take to start a business on the Navajo Nation? We break it down in Navajo and English. Do you need help with the logistics of establishing your business on the Navajo Nation? 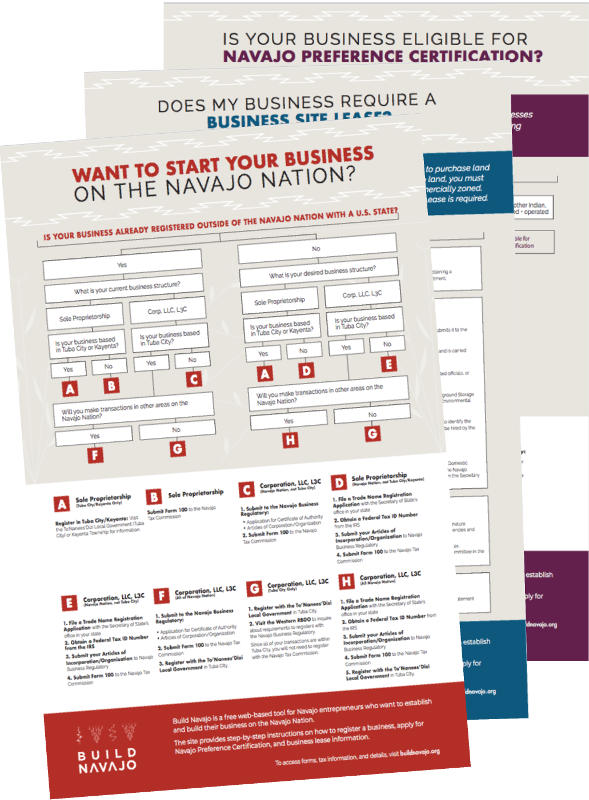 Answer these questions to get a customized checklist on how to register your business, how to apply for a business site lease, and eligibility for Navajo Preference Certification. A growing number of resources are available for Navajo small business owners. Explore what's out there.